Applied extensively in industrial process measurement and control, a rotameter is an instrument that uses a float of given density to establish, for any measurable flow rate, an equilibrium position within the fluid stream where the force of the flowing fluid equals the force of gravity. Let’s break that down a little. A rotameter has a tapered tube with a float inside. As the measured fluid flows upward through the tube, it pushes the float upward along the length of the tube. As the float rises in the tube, the cross sectional area of the tube increases and more fluid can bypass around the float. At some point, the upward force of the fluid flow acting on the float will balance with the downward force of gravity. The position of the float along the length of the tube correlates with a certain flow rate when certain properties of the fluid are known. Flow rate scale graduations on the tube can be read by the operator. 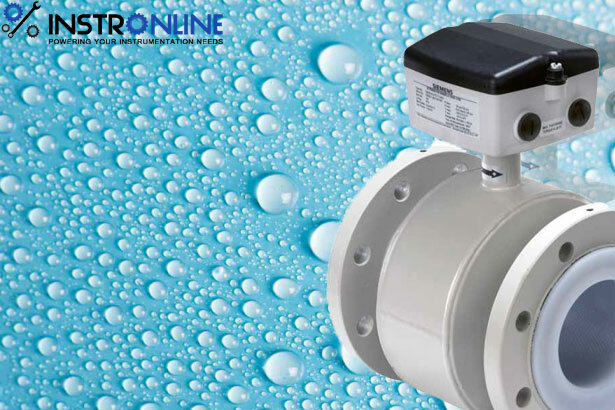 Rotameters are very specific to each flow measurement application. It’s important that you know your fluid properties, ambient conditions, connection and readability specifications. Scale units of measure. Smallest scale divisions needed. For each application, it’s advisable to work closely with a sales engineer to gather all the needed information and coordinate the product selection process. Simple design and operation provide a modest cost solution. No external power is required for operation. Inherent fluid properties and gravity are used to measure flow rate. Clear glass used for the measuring tube is highly resistant to thermal shock and corrosion. Instrument orientation must be vertical, with fluid flowing upward. Scale graduations are accurate for a given substance at a given temperature, making the devices application specific. Operation of the rotameter may be impacted by changes in the viscosity of the fluid. Consult with a product and application specialist to explore your application. Direct flow indication provides resolution that may not be as good as some other flow measurement methods. Visual reading of the scale is subject to uncertainty due to float oscillation, parallax, and location on the scale. Make sure the fluid turbidity, or another fluid characteristic will not obscure the visibility of the float. Consult with a product specialist about your flow measurement application. A combination of your process knowledge and their product expertise will produce the best solution.